I came across your profile and I thought you could be interested in getting to know more about our current job openings. 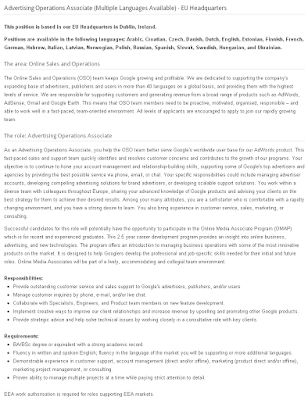 Advertising Operations Associate. 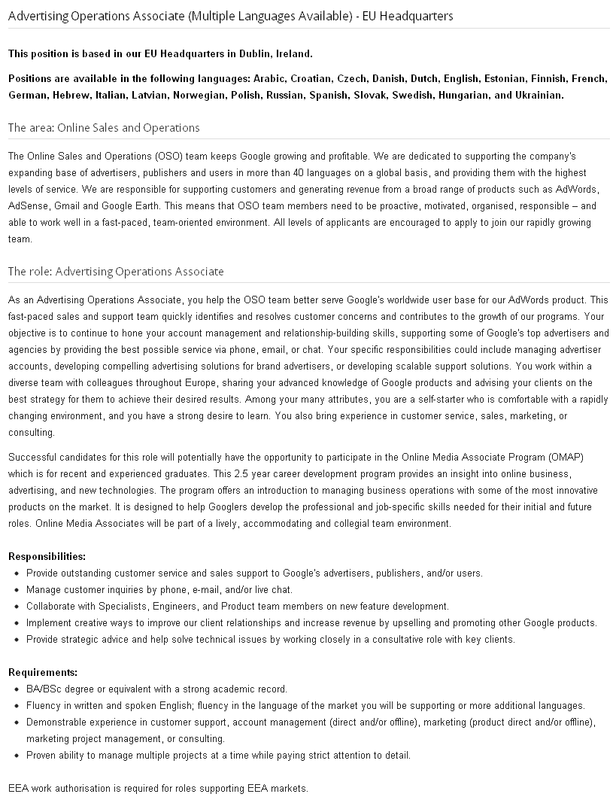 This position is based in our EU Headquarters in Dublin, Ireland. I'm absolutely ready to move, just see my visual resume. I think I'll hit the jackpot!